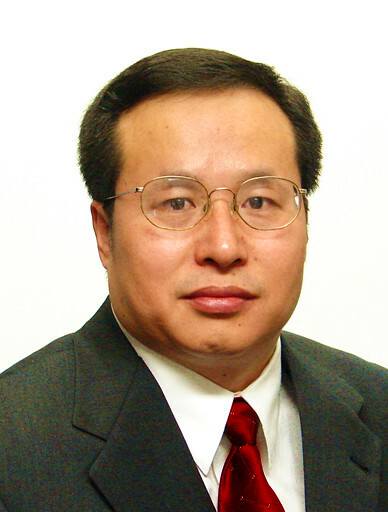 Bin Yu is the President and Chief Executive Officer of Utegration, Inc. He received a bachelor’s degree in Industrial Management from Beijing Polytech University in 1991 and a master’s degree in Management Information Systems from Mays Business School, Texas A&M University in 1997. Prior to starting Utegration, Mr. Yu worked for Deloitte Consulting and later joined SAP America, where he became a Platinum Consultant and then manager of SAP’s U.S. Utilities Consulting Team. 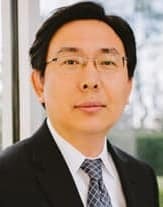 Mr. Yu started Utegration in August 2008, and with his leadership the company has grown into one of the largest SAP Utilities Practices in the industry. Mr. Yu serves on the board of the Asian Chamber of Commerce. Mr. Yu was named Entrepreneur of the Year by the Asian Chamber of Commerce in 2013. In 2015, Utegration was recognized as one of the top 25 minority firms in 2015 by the Houston Business Journal, named SAP Partner of the year, and received the Aggie 100 award (2014 and 2015). In April 2016, Mr. Yu was chosen as one of the winners of Immigrant Business Magazine’s Immigrant Entrepreneur. Mr. Yu’s charitable efforts include support for the Boys & Girls Club of Houston, American Heart Association, and Ride to Conquer Cancer. As a first generation immigrant, Mr. Yu strives to provide entrepreneurial opportunities to young professionals who are just beginning their careers. More than 50% of Utegration employees are minorities, and the company has representation from eight different countries. Wes has more than 17 years’ experience in the marketing and advertising industries. He’s worked with some of the largest companies in the world such as American Airlines, FedEx and Shell, and most recently owned his own marketing firm, W-Squared Marketing, for the past six years. W-Squared was acquired by On-Target Marketing in January of 2018, where he joined as their VP of Accounts. 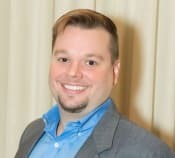 Wes is an energetic problem solver that loves marketing, creativity and building relationships. He’s been a member of the ACC for 6 years. Besides being the current ACC Chairman, he is a lifetime member of the Greater Houston Partnership, as well as being active in other organizations such as American Marketing Association, Society of Petroleum Engineers, World Affairs Council, and many others. Fan Chen is Co-Founder and Managing Partner of Nguyen & Chen, LLP, where he leads the Firm’s Employment & Immigration Division and Corporate Division. With extensive legal experience, Fan has represented many companies and individuals in a wide range of immigration, employment, and corporate legal matters. Fan is frequently invited to speak on various employment and immigration subjects, such as HR training, I-9 Audit, and Wage & Hour. He was invited to speak at Painter & Decorating Contractors of America (PDCA) Texas Chapter Annual Forums and Houston Bar Association CLE seminars. 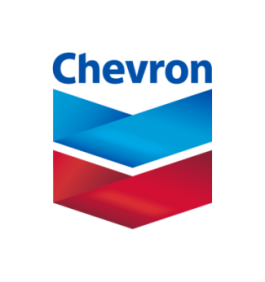 The corporate clients represented by Fan comprise a broad range of industries, including oil and gas, construction, steel manufacturing, food processing, sanitation, grocery chains, hospitality, medicine, and engineering. His corporate clientele includes the world’s largest special steel manufacturer, one of the largest swimming pool construction service companies in the U.S., and the largest sucker rod manufacturer in China. J.D., The University of Houston Law Center. B.A., Foreign Affairs College (Beijing, China). He has advised employers on hiring and firing decisions, wage and hour issues, employment policies and handbooks, restrictive covenants, general corporate matters, and mergers and acquisitions. He has conducted comprehensive I-9 audits (reviewed and corrected more than 15,000 I-9 forms), responded to dozens of Notices of Inspections, and negotiated with ICE field offices in Texas, Washington, Iowa, etc. He has assisted hundreds of individuals in obtaining working visas (including H-1B, H-2A, O-1, TN) and employment-based permanent residency (including EB-1A “Alien of Extraordinary”, EB-1B “Outstanding Professor/Researcher”, EB-1C “Multi-National Executive/Manager”, EB-2 “National Interest Waiver”, and EB-2 PERM Labor Certification). Kenneth Li is the broker/ owner of Texas George Realty, Inc. DBA Southwest Realty Group, a full service real estate firm in Houston, Texas since 1988. Throughout the three decades of his professional career, he has been committed to excellence in real estate development for his community. 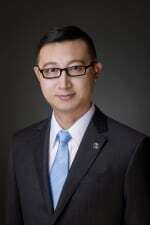 Kenneth Li is known as a real estate specialist, developer and consultant. He was born in Taiwan and raised in Hong Kong and came to Houston in 1981. Kenneth was the founder of Texas George Realty, which was later named one of the top ten outstanding Asian-owned businesses in Houston by the “Houston Post”. Kenneth acquired Century 21 Southwest franchise in 1997 and later converted into Southwest Realty Group. Kenneth Li was considered a pioneer of Chinatown by the “Houston Chronicle” and said that he was the real estate broker aided growth of community and used his success there as an entry into the mainstream in both residential and commercial real estate. (Houston Chronicle, Aug. 11, 2002). Under his leadership and influence, the City of Houston approved a budget of $21,000,000 to improve Houston Chinatown road reconstruction plan finished in March, 2015. Both Texas Monthly and Real Estate Directory News named Kenneth Li as Houston Chinatown "Mayor". Long active in public affairs in local community, Kenneth Li served as 2011 National Chairman of Asian Real Estate Association of America (www.areaa.org), Chairman of Chinese Community Center, Presidents of Houston Taiwanese Chamber, Houston Chinese Chamber of Commerce, Houston Chinese Merchants Association, Co-chair of Association of Chinese Organizations of Houston. 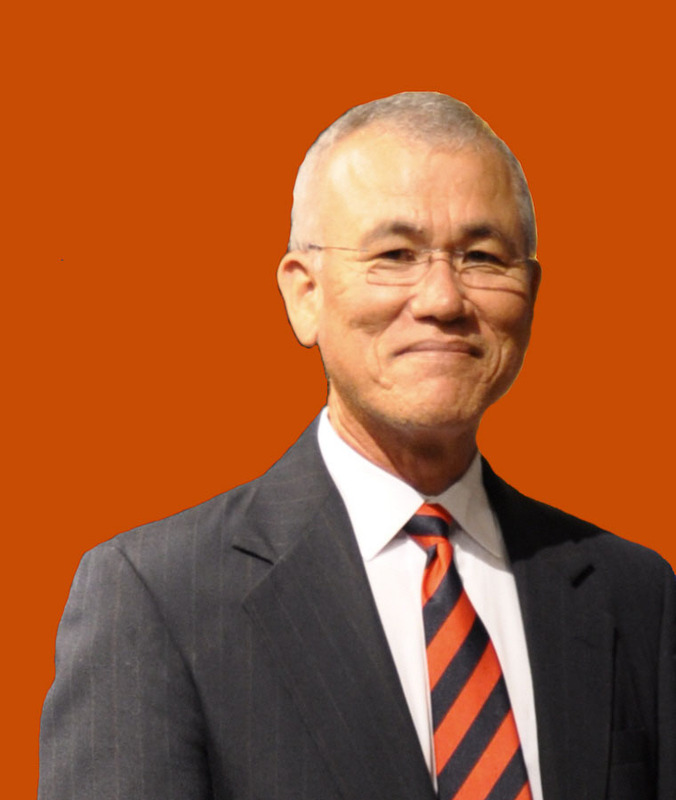 He was appointed by Houston Mayors to serve as the first Asian American board member of City Planning Commission, board member of SW Houston Redevelopment Authority, and Chairman of Southwest Management District, Chairman of Houston Mayor International Trade Development Council/Asia & Australia, Mayor Turner’s International Advisory Board. Kenneth graduated with honor from Houston Baptist University in 1984. Ning joined Merrill Lynch in 2016 after working in technology industry for over 14 years. His main focus is investment strategies for individuals, executives and business owners. Ning holds a M.B.A. from University of Houston, Victoria and a Bachelor’s degree in Computer Engineer from Texas A&M University. Ning has been married to his wife Karen since 2003, with their son, Edward, and daughter Elena. Ning enjoys the Texans, Astros & Rockets and playing with his kids. 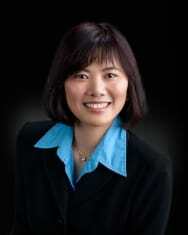 Ning currently serves as the Board of Directors at the Riverstone community in Sugar Land. Riverstone is one of the largest master planned community in the greater Houston area with more than 6,000 households and an annual HOW budget around $6 million dollars. Ning Ning has been the president of Sunrise Youth Soccer Club since 2016, a 501(c)3 nonprofit organization. Sunrise SC provides a wide variety of structured youth soccer programs that promote skill development, wellness, sportsmanship and fun. Mr. Lam joined East West Bank in 2014 focusing on commercial and industrial lending, especially in cross border financing with customers both from Greater China and USA. Prior to joining East West Bank, Mr. Lam served as First Vice President, Commercial Loan & Branch Manager for Cathay Bank in Houston, prior to join Cathay Bank, he served as Vice President, commercial lender for MetroBank. Mr. Lam has over 30 years’ experience in International Trade, Commercial Lending, and Management across the US and China. 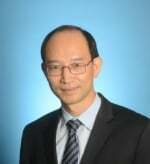 Mr. Lam earned his bachelor degree in Chemical Engineering from Fuzhou University, his master degree in International Trade from Xiamen University, China and MBA in Finance from University of St. Thomas in US. Mr. Lam actively participates in various community services including serves as President of Chinese Association of Professionals in Science and Technology (CAPST) in 2017 and a Board member of Asian Chamber of Commerce. Crisis management professional with 32 years of experience in crisis action team planning, force security, risk management and team building. For approximately 20 years, managed and enforced Houston airport policies and regulations and, at times, act on behalf of the deputy director. Additionally, thirty-two years of Naval Service in operational leadership, which included being the Deputy Inspector General for naval aviation. Concluded service with two Commanding Officer tours and retiring from Naval Reserve in 2007 as a Captain. Currently Chief Financial Officer for ZroClient, a virtual desktop infrastructure solutions. ZroClient offer scalable high speed secure computing, storage, backup and service that lead in industry cloud applications. We help manage IT Infrastructure for Small and Midsize Enterprises(SME) in the Greater Houston Area. Dalia has dual faculty and staff roles with University of Houston-Downtown Marilyn Davies College of Business. Dalia has an MBA in I-O Psychology, and is an adjunct faculty member in that subject with more than 17 years of experience in marketing, communication, and international business. She has served as a Commercial Specialist facilitating government to government commercial dialogues and promoting U.S. exports. This is her first year on the board. As a Partner with Mark Kamin and Associates, May Wang has over 19 years of experience in bringing human and organization performance to the next level. Through a combination of performance coaching, team alignment and strategy implementation, May works with leaders and their teams to approach critical objectives in new ways, from measurable cost savings to dramatic productivity improvements. Clients credit May for her acumen in assessing the situation at hand, and helping them to develop and implement strategies that drive the desired results over time. Austin Zhao joined Asian Chamber of Commerce in 2005. He started to serve on the board since 2011, and then served as Vice-chair in 2012 and 2014, Chair-elect in 2015. He serves as the Chairman of the Asian Chamber of Commerce in 2016 and 2017. Now he still serves on the board as Immediate Past Chair to support the chamber. In his chairman term, Austin Zhao led the board to revise the bylaws, set up operation policy and procedures, reform the board structure and rebuild the executive team. 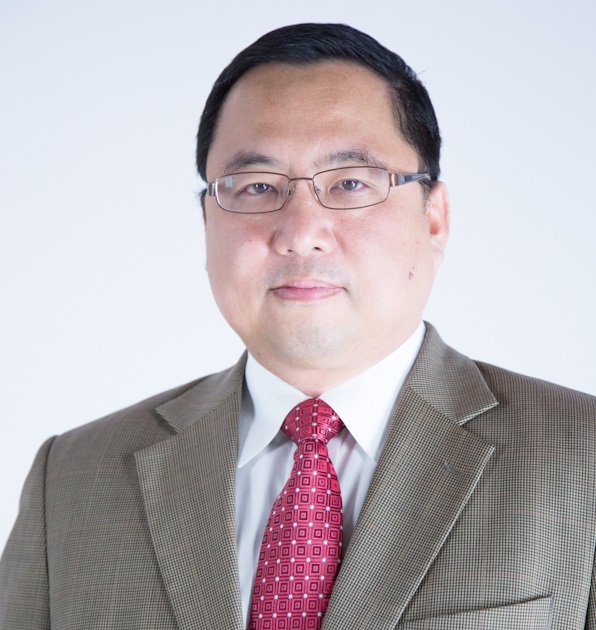 Austin Zhao is also a founding board member and International Committee Chair of Asian Real Estate Association of America (AREAA) Houston Chapter. For his business career, Austin Zhao is a Co-founder & President of China-US Pathway and a Senior Business Advisor at the Transworld Business Advisors Houston Team. Austin has been an executive officer for several Chinese and U.S. companies. Formerly he was General Manger of A & G Toys, Inc., Houston, Texas; Executive Vice-President of DL America, Inc., Houston, Texas; and General Manager of Shunlida Company, a unit of The Import and Export Corporation of Dalian Development Zone, which was a state-owned international trade corporation ranking in the top 500 companies in the foreign trade industry in China. He was also one of the eleven Board Directors of the Paraffin Wax Committee for China Chamber of Commerce of Metals, Minerals & Chemicals Importers & Exporters in 1995 and 1996. 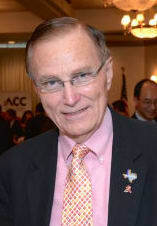 Austin speaks Chinese, English and basic Japanese, and has extensive cross cultural experience in business communication between China and America.